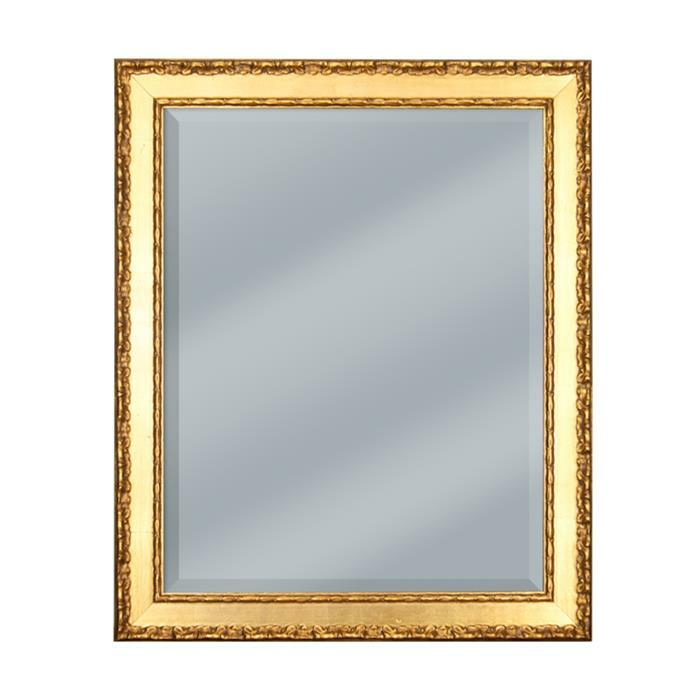 Home → Frame Style → Traditional → Baroque gold framed mirror 19 1/2" x 23 1/2"
Baroque gold framed mirror 19 1/2" x 23 1/2"
This 2" wide and 1" deep frame is beautifully crafted with a gold finish. Frame has baroque detailing along the outer edge and inner lip. This mirror is available with a high quality 1/4" thick beveled mirror glass. The bevel on the mirror glass is approximately 1" wide.